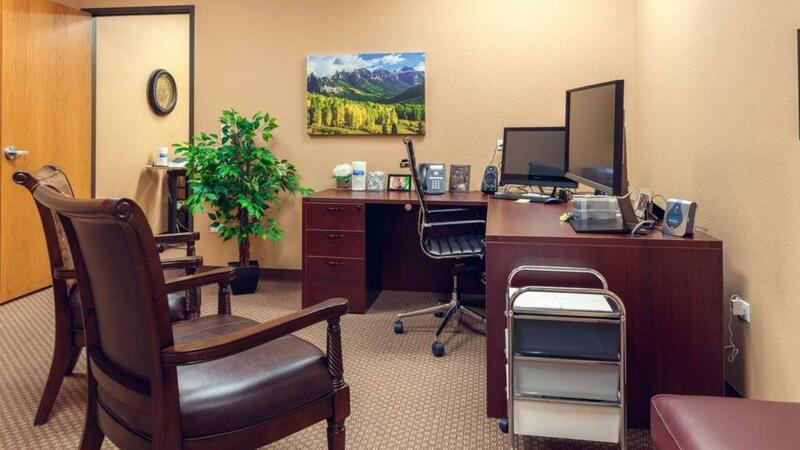 Our Westminster, Colorado tinnitus and hearing center is located one mile west of I-25 on the northwest corner of 120th and Tejon Street. Leah Mitchell has been licensed and working in Colorado as an audiologist since 2004. She earned her bachelor’s degree in communicative disorders from the University of Wisconsin – Oshkosh (2001), her master’s degree in audiology from the University of Wisconsin – Stevens Point (2003), and her doctoral degree in audiology from the Pennsylvania College of Optometry’s School of Audiology (2007). Prior to joining the Sound Relief team, she worked at an ear, nose, and throat (ENT) office, a private practice, and at the Department of Veterans Affairs. She enjoys seeing how her patients’ relationships and quality of life can be improved through better hearing and the management of tinnitus. Dr. Leah has lived in Thornton since 2004, after escaping the winters in her home state of Wisconsin. She enjoys spending as much time as possible in the Colorado outdoors with her husband, Tyler, and two energetic daughters, Evelyn and Etta. 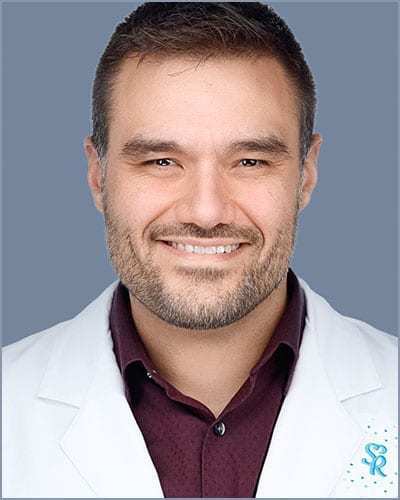 Originally from Chicago, Tony moved to Colorado in 2012 to pursue his Doctorate after many years of touring as the lead vocalist in his punk rock band. He was recently featured in a story by NPR which highlighted his work in hearing conservation for musicians. Click here for more information. Tony earned his Bachelor of Arts degree in ‘Audio Arts and Acoustics’ from Columbia College Chicago (2005), his Bachelor of Science degree in ‘Audiology and Speech-Language Sciences’ from University of Northern Colorado (2014) and his Doctor of Audiology degree from University of Northern Colorado (2018). His experience as a touring musician offers him a unique perspective and approach to the field of audiology. He believes preventive hearing healthcare deserves at least as much attention as rehabilitation. In addition to playing music and helping folks with their hearing healthcare needs, Tony enjoys hiking, paddle boarding, and camping with his wife, Lisa, and their chocolate lab, Bodhi. Jerry understands the challenges that his patients experience, because he has been wearing hearing devices for more than a decade to correct his own high-frequency hearing loss. He also uses Sound Therapy to relieve the effects of his tinnitus. As a National Board Certified Hearing Instrument Specialist and former president of the Colorado Hearing Society, Jerry is dedicated to his goal of helping people who experience what he and tens of millions of other Americans do: hearing loss. Jerry married his high school sweetheart; they have two sons and four grandsons. He and his family moved from northeast Kansas to the front range in the mid-1990s, fulfilling life-long dreams for him and his wife. He has been a genealogist all of his adult life, and his wife has been an amateur photographer just as long; their passions complement each other. Jerry feels that family and helping people are his highest callings in life. Do you live with ringing, rushing, or buzzing in your ears? If so, you have tinnitus, a condition characterized by the perception of sound without an external source being present. Although tinnitus will not cause you to lose your ability to hear, its presence can negatively impact your day-to-day life. Depending on the severity of your tinnitus, you might even struggle to work, socialize, or relax. If you suffer from tinnitus, contact Sound Relief Hearing Center today. Our specialists can recommend a personalized tinnitus solution to treat your unique problem. 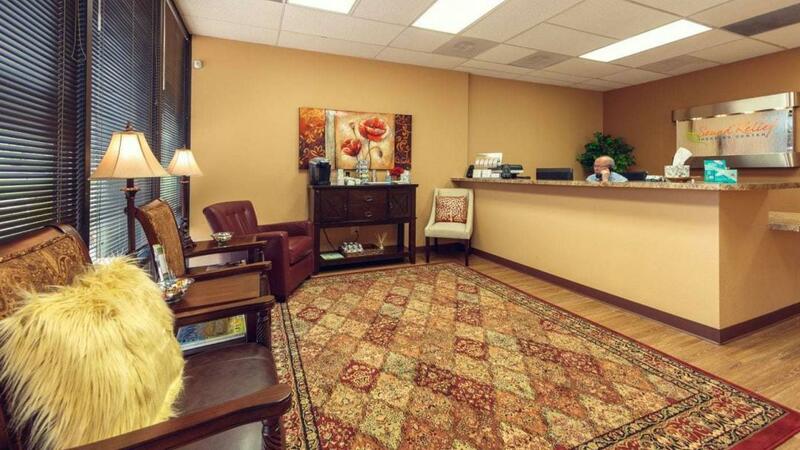 When you arrive at our hearing center in Westminster, you will be asked questions about your medical history, focusing on your hearing history. During the consultation, feel free to ask questions or express any concerns you have regarding your hearing health. Next, the audiologist will use a lighted otoscope to inspect your outer ear and ear canal for abnormalities that could affect your hearing test results. Sometimes the results of this examination will require you to visit an ENT (Ear, Nose, and Throat) doctor. In addition, the audiologist will conduct a hearing test in a sound-proof booth to determine the specific frequencies that you find difficult to hear. 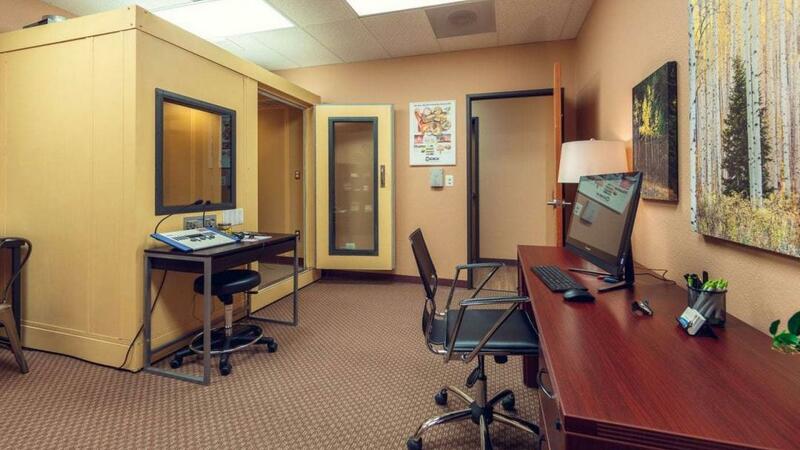 Audiometric testing will help us determine your ability to understand speech within a short distance. To accomplish this, we will ask you a series of high-frequency and low-frequency words, and we will also request that you repeat several words. The results of this examination will help us determine if you suffer from hearing loss, how well you can understand speech, and whether or not a hearing aid could improve your hearing ability. Tympanometry tests the health of the middle ear and the mobility of both the eardrum (the tympanic membrane) and the conduction bones. It accomplishes this by variating the air pressure in the ear canal with specialized equipment. This objective test can also help your audiologist determine whether your hearing loss is sensorineural or conductive. 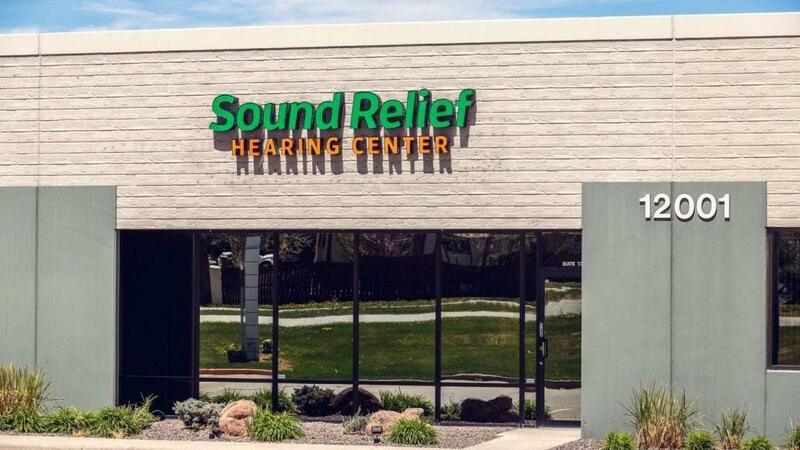 With hearing aids available in hundreds of different places in Colorado as well as online, why should you purchase hearing aids at Sound Relief Hearing Center? Our specialists provide thorough hearing testing and personalized devices to ensure that your hearing aid meets your unique requirements. We only offer the most technologically advanced hearing aids, but we also promise to provide a variety of options designed to meet any budget. Not only do we offer top-notch services and a memorable experience, but we can help you obtain the greatest return on your investment in your hearing health. If you are living with hyperacusis, a condition characterized by heightened sensitivity to normal environmental sounds, we can help. Cerumen, more commonly known as ear wax, is a waxy substance secreted in the ear canal. It plays an important role in the health of the human ear by protecting and cleaning the skin of the ear canal. However, sometimes the ear produces too much wax, and the wax becomes impacted and presses against the eardrum. The impacted wax can impair your ability to hear, cause pain, create a feeling of fullness, or even induce tinnitus. If you suffer from impacted ear wax, contact Sound Relief Hearing Center for help. We will use specific tools and professional techniques to safely remove the ear wax. As a manager of a band and a performance artist hearing protection is paramount. I'm exposed to high volume rock... As a manager of a band and a performance artist hearing protection is paramount. I'm exposed to high volume rock and roll music on a weekly basis so hearing protection is very important to me and my career also depends on it. Dr. Tony helped me getting fit with custom ear plugs that have literally changed my life. He was very understanding of my needs and wants and budgetary constraints. I would highly recommend visiting Dr. Tony for all your hearing and hearing protection needs especially if you're a musician! Very professional and courteous and just an all around solid person. I have enjoyed being a client of Sound Hearing relief in Westminster for 1.5 plus years. They carefully and sincerely... I have enjoyed being a client of Sound Hearing relief in Westminster for 1.5 plus years. They carefully and sincerely guided me at the start and with my regular visits listen to my needs and adjust my aids or guide me as we meet. I would highly recommend the team at this office! Fabulous, first class service and hearing analysis, love the hearing aids they're hooked me up with! Tony is a highly... Fabulous, first class service and hearing analysis, love the hearing aids they're hooked me up with! Tony is a highly professional audiologist! Highly recommended!